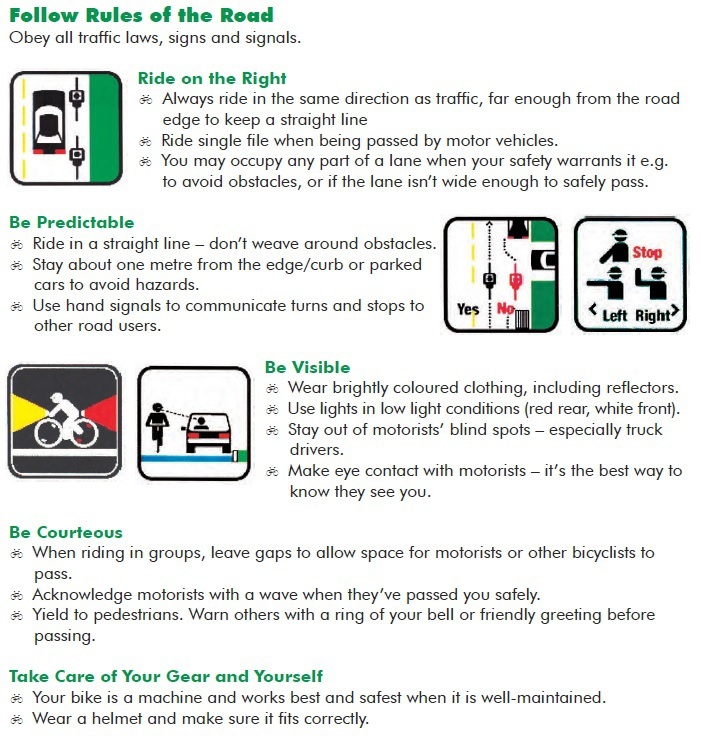 Bicycles are considered vehicles under the Ontario Highway Traffic Act and have the same rights and responsibilities as motorists. Remember: fines have increased for failure to use lights and reflectors when needed. Cyclists can now use a flashing red light in the rear.